“You’ve got to let me put a few holes in the boat,” I told Ben while wielding the drill in my left hand and positioning it against the bulkhead of his Bristol Channel Cutter, Elizabeth. After several years of solo sailing, Ben and I had finally decided to transition to sailing together aboard one boat. His boat was becoming our boat. He tidied up his “floating bachelor pad” and I moved aboard, laying my pink sleeping bag and teddy bear on my bunk, putting my curling iron and toothbrush in the head, and shoving my boots and foulies in the hanging locker. Now we sail together on almost every voyage. But maintaining our independence was a concern I carried across the gunnels with me. Both Ben and I feared that we would fall into traditional male and female roles when we came together aboard one boat. While sailing solo, I met and observed many other cruising couples and families. The more sailors I met, the more worried I became that I would lose the confidence and skills I had gained while sailing my own boat. Most of the cruisers I met were couples, and with almost no exceptions, the command was held by the male. He was at the helm in the roughest conditions, he maintained the engine and equipment, he made the decision when to set sail and when to wait, and he communicated as the face of the vessel and crew when dealing with others. It was in the sailing community that I first learned of the terms “blue and pink jobs,” and together, Ben and I decided that we didn’t want to operate Elizabeth that way. In terms of gender equality aboard vessels, we have come a long way since the days when it was considered bad luck to have women aboard a sailing ship. But let’s face it—men and women still don’t equally share in shipboard responsibilities and leadership roles in both recreational sailing and the maritime industry as a whole. Women are discouraged from maritime jobs because of the deep-seated belief that we are smaller, weaker, irrational and therefore less able to manage a vessel. Even aboard their own boats, social inequalities commonly imposed on women have made them more likely to shy away from the helm, engine and other positions of control. These beliefs have convinced women that they can’t, and even that they don’t want to do these things. We usually go to sea with longtime husbands or boyfriends we are still getting to know. The men are often helpful and chivalrous. They take extra care to ensure the women onboard are safe and comfortable. But the most courageous captain will relinquish some control and enable his counterpart to become a hero in her own heart. The key to a safe and fun passage is for traditional male/female couples to unleash the woman’s potential. Here are 10 suggestions that couples can follow to help empower women at the helm. A woman with a chivalrous man who steps in to save the day during challenging times will learn that she is loved, but also that someone is there to guide her away from danger. In order to learn to rely on themselves, sailors must feel the weight of that responsibility. In my experience, at some point it is no longer enough to simply say, “I’m doing this on my own,” and still have another sailor aboard. The weight of responsibility must be on her shoulders alone. Captain/crew role-playing scenarios are just that—role-playing. The next step is to actually take command, stand at the helm and run the vessel all on her own. This can begin with a motor around the harbor on a calm day. Then, on another day, she can move up to sailing in light winds, but always with the added precautions for solo sailing that might not be present when sailing with a partner. 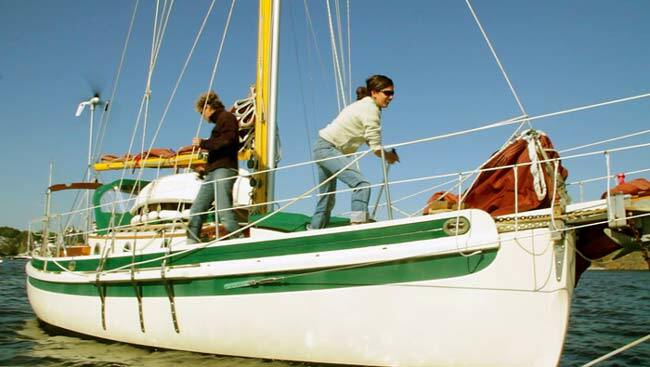 If the boat is very large and it’s not possible to sail it solo, or for a leadership opportunity with a crew, women can try sailing with a crew comprised of only women. It’s in a woman’s nature to ask for help when she needs it. Women talk things out, confide in friends and turn to their husbands for support. It’s also believed by many that men respond more quickly to crisis by diving in, being directive and protective, and taking control. While both qualities are important, when put together one will overshadow the other. For women to get acquainted with their leadership side, they need the freedom to step into that role fully. 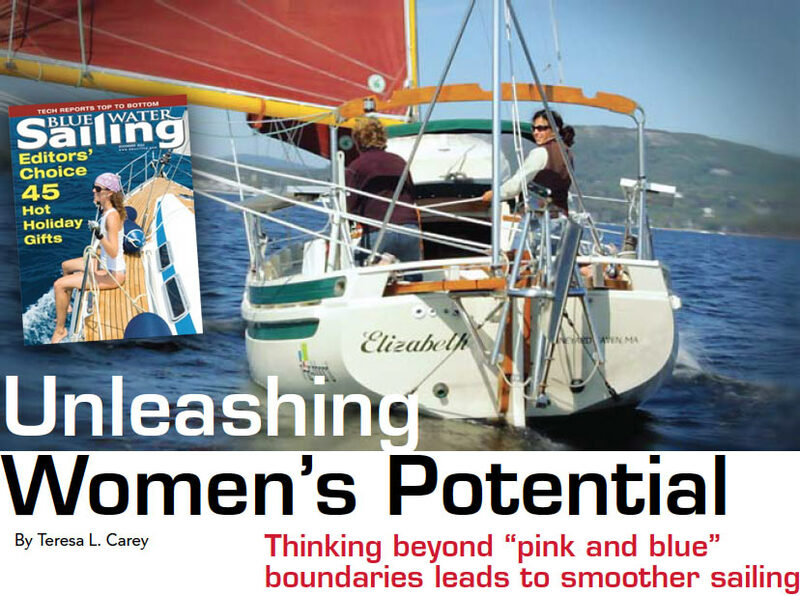 Sailing with other women allows females to take control of the boat, make mistakes, learn and grow. Through this process they will discover that they have more intrinsic leadership and innate sailing ability than they ever dreamed possible. When I first began my professional sailing career, my mentor shocked me by saying “If I could, I would allow you to run this boat up on a rock, because then you’ll really understand your abilities and limitations.” Years later, I completely understand what he was trying to tell me. It’s important for sailors to understand how they behave in times of crisis. But it’s even more important in a sailor’s development to be in control during those challenging times. That is when reserves of strength of character are made and discovered. Cruising couples that are trying to empower the woman will allow her to make mistakes. No one will step in when the sails luff or breaking waves are spotted ahead. A woman who feels she is supported and responsible for the vessel will step into that role. Sometimes stepping up to the helm isn’t as hard as letting go of it. But for women to learn to take leadership, their partner must also learn to relinquish that leadership and become a good crewmember. Actively listening to others can be even more challenging than being directive. However, a supportive crewmember shows the woman in her new leadership role that he trusts her and is willing to step out of his comfortable role to comply with her direction. It takes a lifetime of sailing to become literate in all the complicated systems and equipment aboard a cruising boat. Sail trim, weather forecasting, electronics, sail repair, anchor systems, engine maintenance, bright work and navigation are just the beginning. Great partnerships are those where teaching and learning go both ways. Your partner may be good with diesel mechanics, but if you perfect your dead reckoning skills and teach him, you’ll be learning and growing together. Collectively, you will be less reliant on mechanics or GPS and more reliant on each other. Sometimes the best way to tackle a problem is with efficiency in mind. For example, your stay in port may only be a few days, during which you must fix the broken zipper on the dodger, change the raw-water pump impeller, fill the fuel and water tanks, and still find time for a walk on the beach. The most efficient use of your limited time would be to divide and conquer by taking on the jobs that are a natural fit. Typically, this results in the man addressing the engine jobs, while the woman replaces the zipper. Instead of falling into traditional task division, why not make an agreement that will oblige you to reverse roles on a regular basis? Begin preparing a few days before landfall by reading your diesel mechanics shipboard reference, together measuring for a new zipper, and encouraging each other’s questions. It may require more planning, and you may have to miss that relaxing walk on the beach, but the rewards will be much greater. Mistakes will happen. In fact, if you’re pushing your boundaries, they are sure to happen as a matter of course. But sailors must take ownership of their mistakes. If you hit the piling when trying to dock, you should repair the scratch in the gelcoat. If you drop a wrench overboard, put on your swimsuit and goggles—it’s time for a dip. And if you haul away at the halyard, but didn’t tie a proper bowline to the head of the sail, then guess who is going up in the boatswain’s chair despite a fear of heights? You. And you can bet you’ll never forget how to tie the bowline again. A sailor who is expected to take responsibility for his or her mistakes will learn from them. 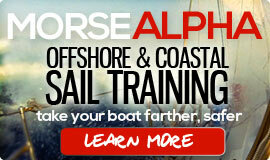 Boat owners are constantly modifying, upgrading, fixing and maintaining their boats. There is a never-ending to-do list of projects. But deciding what is on the list and who should tackle each project is a shared responsibility. Try each making your own list, combining them, and then simply dividing the tasks by going down the list and alternating his, hers, his, hers. There will always be projects that are undesirable because they are hard, boring or messy. However, that is part of owning a boat, and someone has to do it. If both partners in the relationship own the boat equally, there will be a greater sense of shared pride, care and satisfaction when you take her out for a sail. Sailing is both masculine and feminine. It is a sport that requires strength and delicacy. A sailor must be able to break a heavy anchor free from the seafloor while simultaneously finessing the vessel out through the narrow harbor entrance, negotiating the breeze, rocks and crosscurrents. Sailors need to be stern and directive at certain times, and sympathetic and adaptable at others. A boat maintained to a high standard is rugged, but care is also given to make her beautiful. Therefore, a feminine perspective is equally as important as a masculine one. The best sailors recognize that and work to cultivate a balance of both qualities in themselves and their partners. So, when I was wielding the drill in my left hand, poised against the bulkhead of Ben’s beloved Bristol Channel Cutter, he first cringed and then walked away. 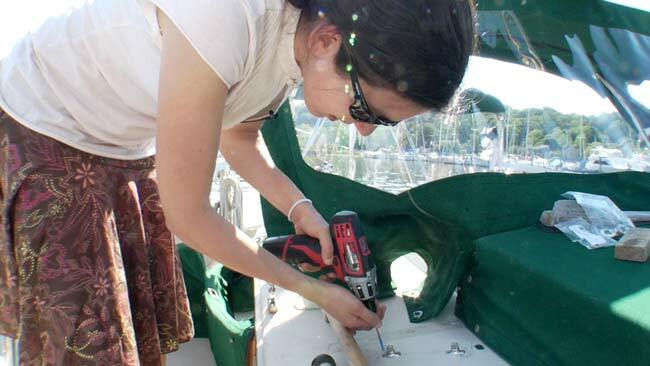 I drilled several holes in the boat that day, my first aboard Elizabeth, as I upgraded some of the stowage systems, installed my homemade dodger, and worked through our pre-departure to-do list. My work proved to be useful—the dodger, with its heartshaped windows, topped Elizabeth beautifully, and Ben still hasn’t discovered the mistake I made and fixed all on my own. Our work as equal partners aboard our boat is an ongoing effort and always at the top of our list. What Scares You While Sailing? Your article reminds me of my honeymoon where bareboat chartered out of Key Largo. We had to go through the usual pre-seatrial with the owner before departing. After an hour of drill questions and sail maneuvers, we returned to the dock, the owner pulled the keys out and tossed them to “me”, not my husband. She’s yours, take care of her, “he” will catch on. We were the exception to your blue/pink rules…..we just migrated to the jobs we did best….when the sh*t hit the fan, I was in command (he relinquished the helm). Awesome article. You have an absolutely incredible awareness and intellect. We were terrified to find out that many of the women aboard of cruising boats, wouldn’t be able to do many of the jobs that the men regularly take care of. We tend to slip into “blue and pink jobs” ourselves, be we always remind ourselves that both of us need to be able to do everything. I might not be able to cook such delicious dishes on a regular basis as Jana does, but I learn few dishes that I know always hit the spot and Jana always takes the spanners out of my hands and works on the engine and does other “manly” chores. I might need to loosen a bolt here and there for her, but that’s it. Regularly I step down from the “captain’s post” and let Jana make all the decisions. E.g. it took a while to persuade her to steer when getting in and out of harbour, but once she tried, I haven’t seen the tiller for quite a while. She’s much better at it anyway. Now I have to ask her to let me steer. I’ve been following your blog for a couple of years now with a hiatus during the 6 months we took to cross the Pacific from Victoria to New Zealand. I’ve always enjoyed reading your words and watching your video clips and feel like I have gotten to know you and Ben (weird this blogging world – having friends although never having met in person!). This is a terrific posting… best yet! My co-cap Bill and I try to do what you and Ben do. We are truly co-caps although my learning curve is much steeper than his due to our unequal sailing experience. On February 9 this year we fly down to New Zealand where our boat, Terrwyn, is currently on the hard. We will be doing some sailing in the Bay of Islands and then around mid-April head off for Africa! Before our departure date I need to have some more real experience taking the role of captain in coastal waters (which as you know is totally different than mid-ocean)… so we are going to take her up to Lin and Larry Pardey’s place with me at the helm and Bill crewing the whole way. As you have so eloquently stated sometimes it is so hard to do the things that do not come naturally or easily but I believe it is essential for a successful shared voyage. The feeling of accomplishment and pride of work is even greater when one grits ones teeth and just does those things one doesn’t like or want to do. Thank you for your excellent blog…….I have had 2 weeks sailing off shore and leave for 1month sailing in Bahamas,can I do this full time?? Looking forward to meeting other doing this as a way of life.I am the first matey and hope to hold that postion and learn to navigate like the best. 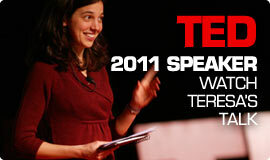 This is so timely for me–thanks for your insight. My husband and I are working out these issues as we start on our life as livaboards. In general, we consider ourselves equals and I’m no shrinking violet. But yesterday, as I was hauling him up the mast I tried to tell him about an issue with the line and he started yelling that it was no big deal and to keep going. I should have stood my ground but he knows more about boats and was yelling louder so I kept turning the winch, making the situation worse. We talked about it afterwards so we can better communicate in stressful situations. I think as I learn more and become more confident, he and I will both trust me more. 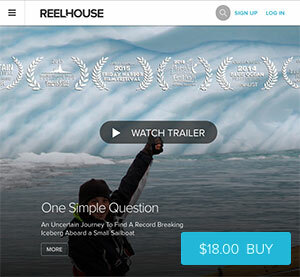 I have sold my boat and Ben and I are searching for our next home! Wish us luck! PS. All comments are ‘pending’ if it’s the first time you post on my blog. The reason for that is to filter out all the spam. But now you can post freely! Great article. Enlightening, helpfull and and to the point of shared responsibility. Love your articles! Loive your lifestyle! Beautiful seamanship! Very nice article! Lots of food for thought. We cruising couples do have to balance a lot of the factors you mention. Active interest and engagement of both parties in as many facets of cruising as possible is certainly the ideal to strive for. I wonder if the most important skill we need to develope is to listen to our partner, and not assume that the pink/blue role is the only way. There’s a necessary give-and-take that is necessary for couples living in a cruising yacht, a very small, challenging environment. Just discovered your blog and videos after following DrakeParagon. I’m a coastal power boater that has always admired sail boats. Maybe I’ll learn to sail some day but until then, I sail through you and Ben! Great article. Just started to read through all your posts and absorb as much info as possible! This was a really interesting read as we are about to start our life as liveaboards, in the UK, and my partner is the one with experience and I am a complete novice eek! I’m so excited but naturally a little apprehensive about the challenges…reading your blogs is both inspiring and giving me confidence in myself that I can do this 🙂 I am going to do my Competant Crew course this summer on an all female boat and can’t wait! Yeah, it’s my boat and I’m the one with the captain’s license. Hubby is strictly cheerful, helpful crew. And trusts me 100 percent. Keeps me on my toes!